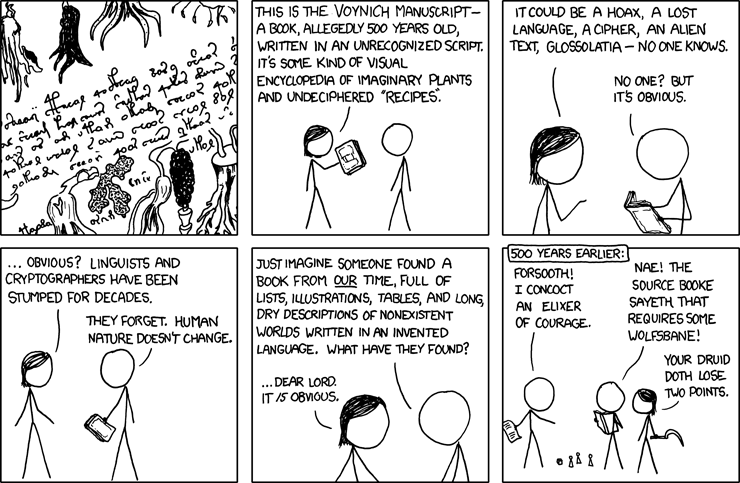 Wait, is that the ORIGINAL voynich manuscript? Where did you GET that? Wanna try playing a round of Druids and Dicotyledons?